Home > News > Free Express Delivery! Shop with Lizzielane this weekend and when you spend £20 or more, we’ll upgrade your delivery to our super fast Express Delivery for FREE! Until midnight Monday 21st August we have something special for all customers old and new – Shop any of our gorgeous collections of designer jewellery, gifts and accessories and you’ll be able to take advantage of our Free Fast Express Delivery! 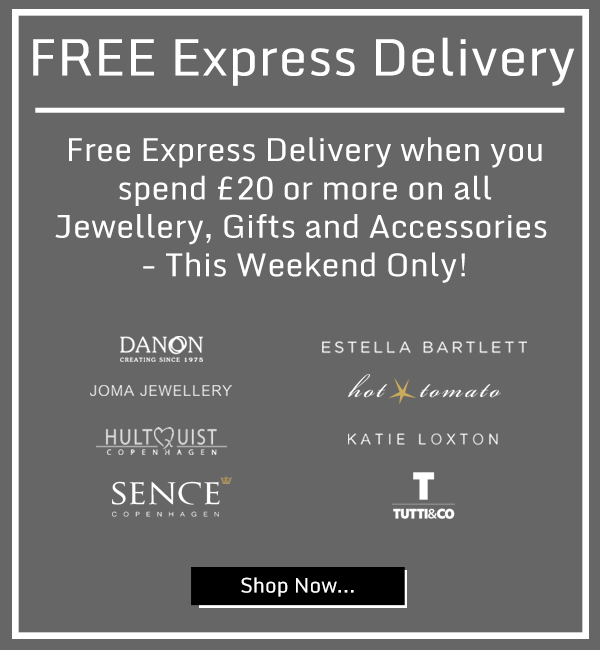 To claim your Free Fast Express Delivery, simply spend £20 or more on any jewellery, gifts or accessories and then select “Free UK Express” as your delivery service on our checkout page – But be quick, our Free Express Delivery offer ends midnight Monday 21st August! Free Express Delivery ends midnight 21st August 2017 and is valid on all UK orders with a minimum spend of £20. E & O E.